Cristina Iglesias’s architectural intervention on the ramparts of Martello 4, the Leas, is an illusion of an entrance into another world. Iglesias’s sculpture allows visitors a chance to view this historic monument for the first time in many years. 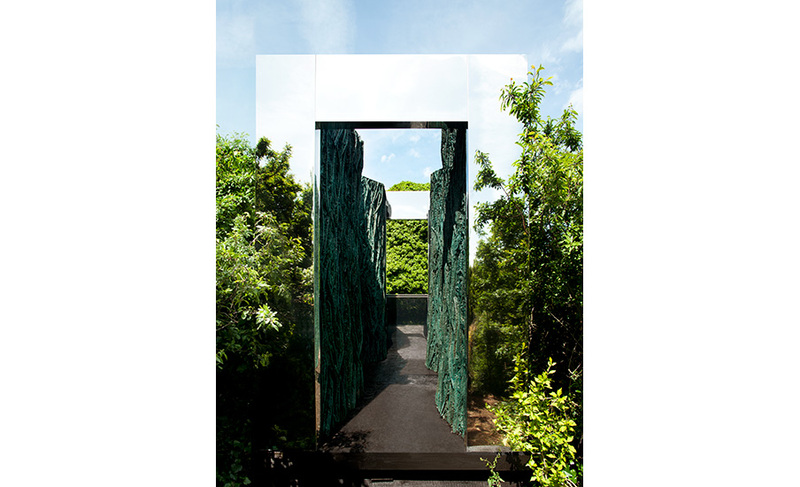 Visitors need to negotiate a path cut through shrubs and trees to a mirrored walk-in structure clad with resin foliage. A window at the end of this passageway opens up a view of the overgrown tower and moat with its extraordinary wildlife.